Based on real events the dramatic thriller Argo chronicles the life-or-death covert operation to rescue six Americans which unfolded behind the scenes of the Iran hostage crisis focusing on the little-known role that the CIA and Hollywood played-information that was not declassified until many years after the event. On November 4, 1979 as the Iranian revolution reaches its boiling point militants storm the U.S. Embassy in Tehran taking 52 Americans hostage. But in the midst of the chaos six Americans manage to slip away and find refuge in the home of Canadian Ambassador, Ken Taylor. Knowing it is only a matter of time before the six are found out and likely killed the Canadian and American governments ask the CIA to intervene. The CIA turns to their top "exfiltration" specialist Tony Mendez to come up with a plan to get the six Americans safely out of the country. A plan so incredible it could only happen in the movies. $19.458 million on 3232 screens. As I write this, the 2013 Oscars will take place in a week. If 2012’s Argo wants to come home with the Best Picture trophy, it’ll need to buck some daunting history. That’s because it received a Best Picture nomination but Ben Affleck failed to get a nod as Best Director. In the history of the Oscars, only three movies ever earned Best Picture without a Best Director nomination. Two of these instances – 1927’s Wings and 1932’s Grand Hotel - occurred so early in Oscar history that one could view them as anomalies. This leaves the creators of Argo with one inspiration: 1989’s Driving Miss Daisy. It snagged the Best Picture Oscar although Bruce Beresford failed to get a Best Director nomination. One example of this in the last 80 years doesn’t seem to leave much room for hope, but if any flick can beat those odds, Argo might be the one. It snagged plenty of the usual Oscar lead-up awards and remains a prime contender. Does Argo deserve to win Best Picture? Perhaps. Of the nine nominees, it’s arguably my favorite; Django Unchained might top it, but it’s a tight race. 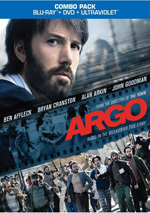 Argo takes place after revolutionaries took over the American embassy in Iran. Set mostly in 1980, we see how six staff members escape and find refuge at the Canadian embassy. Fraught with peril, this situation can’t last forever, so US executives need to find a way to extricate them. CIA operative Tony Mendez (Affleck) invents a plan in which a film crew for a fictitious movie will go Iran to scout locations and manage to get the hidden Americans out unharmed. We follow all of the threads that occur as the plan – codenamed “Argo” after the fake flick – attempts to work its magic. Argo creates a “truth is stranger than fiction” scenario. If it hadn’t actually happened, I doubt one would swallow it as believable. The story’s so goofy that when I saw trailers, I wondered if it might’ve been a spoof. But the events really took place – well, many of them, at least. Argo encountered some controversy because of its historical liberties, and I can understand those complaints, especially during the film’s third act, which creates an “escape from Iran” situation with much more drama and tension than actually occurred. Although I sometimes find myself bothered by fabrications of this sort, in this case, I’m fine with the changes. Honestly, if Argo had followed the real events, the third act would’ve been a snoozer. While the actual operation came with ample danger, it didn’t play out in the film’s nail-biting manner, and an accurate depiction would’ve provided a dull conclusion. So I’ll cut Affleck and company a break, especially since a) the climax is exciting and b) the rest of the movie’s so enjoyable. Actually, the third act might be the weakest, if just because it seems a bit trite. Argo trots out every thriller/horror movie convention one can cite in its pursuit of a “nick of time” escape story. If the film offers anything new in that vein, I didn’t see it; we get a batch of old standbys here. Nonetheless, they work, and in a weird way, the potentially trite nature of the climax seems appropriate; shouldn’t a movie partially about Hollywood clichés feature some of its own? And since these elements give us the desired sense of drama and tension, I won’t complain. I do prefer the first two acts and think those represent the strongest filmmaking on display. While Affleck embraces thriller tropes in the third act, he manages an impressive display of genre-balancing during the first two-thirds. Argo gives us comedy, drama, parody and thriller, often all at once as it cuts among its dueling storylines. Those first two acts represent the reason Affleck should’ve gotten a Best Director nomination. He boasts such a deft touch as he skips from one genre to another that he merits more recognition than the Academy gave him. Argo often threatens to collapse under all the balls it juggles, but Affleck keeps them in the air. Affleck receives criticism for his work as an actor, but I don’t think he deserves it. No, he’s not a great thespian – and given the stellar nature of the film’s supporting cast, he threatens to look worse by comparison – but I think Affleck plays Mendez in a more than competent manner. He helps ground the film and acts as a good motivator for much of the action. While I can’t call Argo a flawless flick, I think it works well much of the time. As a mix of competing genres, it delivers a lively, enjoyable take on history. Argo appears in an aspect ratio of approximately 2.35:1 on this Blu-Ray Disc. Overall, the image looked solid. Sharpness usually fared well. A few wide shots displayed a little softness, but that wasn’t a notable flaw – and it seemed in keeping with the movie’s “period” style of photography. I witnessed no issues with shimmering or jaggies, and edge haloes failed to appear. In terms of print defects, the opening credits showed some intentional dirt but that was it; the rest of the flick seemed clean. Appropriate grain ran through the movie. Colors favored stylized – and often muted – tones. With 1970s films like All the President’s Men as inspirations, I expected restrained hues, and the movie delivered. With some general overlays – blues, tans – in play, I felt the colors represented the filmmaking choices well. Blacks appeared dark and rich, while shadows appeared clear and smooth. The transfer provided a nice take on the film. I felt more impressed than I expected with the relatively active DTS-HD MA 5.1 soundtrack of Argo. The soundscape opened up quite a lot more than I figured it would, as it provided a lot of good ambient material. For instance, scenes in streets or at airports or at parties bustled with activity. Segments that offered more logical “action emphasis” – such as some with gunfire or planes or vehicles – formed a lively environment that utilized the five channels in a satisfying manner. Audio quality always pleased. Music was rich and full, while effects came across as accurate and dynamic; we got positive bass response throughout the film. Speech remained natural and distinctive. I doubt you’ll want to use Argo to demo your home theater, but I thought it created a more involving soundscape than I would’ve anticipated. When we shift to the set’s extras, we open with an audio commentary from director/actor Ben Affleck and writer Chris Terrio. Both sit together for this running, screen-specific look at historical elements, story/character areas, sets and locations, period details and visual effects, cast and performances, editing, and some other areas. When we worked just as an actor, Affleck tended to be an irreverent hoot. Now that he’s older and shooting his own movies, he’s become more subdued as a commentator, but he still manages to create useful discussions. Affleck does most of the work here – Terrio doesn’t have a ton to say – and we get a good overview of the production. While I admit I miss the funnier Affleck, I still find a lot to like about this chat. For a picture-in-picture piece, we go to Eyewitness Account. This purports to allow us to “relive the takeover of the US Embassy in November 1979 and the daring rescue missions in January 1980 through the eyes of those who lived it.” This means we get info from retired CIA operative Tony Mendez, President Jimmy Carter, “house guests” Mark Lijek, Bob Anders, Cora Lijek, Kathy Stafford, and Lee Schatz, USMC retired/Iranian hostage Al Golacinski, and former Canadian ambassador Ken Taylor and wife Patricia. They discuss their experiences as they relate to the events depicted in the film. It’s the first-hand nature of “Eyewitness” that makes it so valuable. We hear from no one not directly connected to the circumstances, and they deliver excellent information. My only gripe comes from the occasional dead spots, but the Blu-ray’s producers makes it easy to skip past those with your remote’s arrows, so you’re not stuck with them. “Eyewitness” provides a terrific look at the facts behind the movie’s depiction. With the 11-minute, 19-second Absolute Authenticity, we hear from Affleck, Terrio, executive producer Chay Carter, production designer Sharon Seymour, producer Grant Heslov, costume designer Jacqueline West, rigging chief lighting technician Marc Marino, picture car coordinator Ted Moser, executive producer Graham King and actors Clea Duvall, Scoot McNairy, Kerry Bishe, Rory Cochrane, Christopher Denham, and Tate Donovan. The featurette looks at research, sets and locations, costumes and period details. We find some interesting details about the pains taken to recreate the film’s era, but the tone is a little too self-congratulatory. The CIA and the Hollywood Connection runs six minutes, five seconds and delivers material from Affleck, Mendez, Terrio, Heslov, and actor John Goodman. This one gives us additional thoughts about the “fake movie” side of the operation. It’s short but reasonably effective. Finally, we locate Escape from Iran: The Hollywood Option. 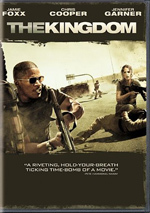 It occupies 46 minutes, 34 seconds with details from Anders, Mark and Cora Lijek, Ken and Patricia Taylor, Mendez, All the Shah’s Men author Stephen Kinzer, former Empress of Iran Shahbanou Farah Pahlavi, US State Department Iran Country Director Henry Precht, The Canadian Caper co-author Claude Adams, former Canadian Prime Minster Joe Clark, former Canadian Embassy Chief Immigration Officer/Senior First Secretary John Sheardown and wife Zena, former Canadian Secretary of State for External Affairs Flora MacDonald, Hollywood makeup artist Bob Sidell, and former Canadian Embassy First Secretary Roger Lucy. As one might expect, “Option” gives us another take on the events that inspired Argo. Inevitably, some of the facts become redundant after all the other materials, but I like the inclusion of additional interview subjects/perspectives, and the inclusion of period footage contributes to the piece as well. “Option” becomes another valuable program. The disc opens with an ad for Beautiful Creatures. No trailer for Argo appears here. A second disc provides a DVD copy of Argo. 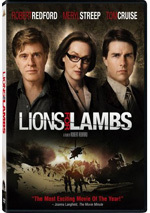 It includes the “Tehran: We Were There” featurette but omits all of the other Blu-ray extras. Despite some liberties, Argo delivers a good piece of historical drama. It melds a mix of genres in a bright, brisk manner that seems nearly effortless and turns into a high-quality effort. The Blu-ray offers very nice picture and audio along with a strong set of supplements. Argo stands as one of 2012’s best movies and the Blu-ray represents in a very positive way.